Do you sometimes feel that you have no talent and cannot even do half the things other people can? If you want to get something to be good at and show it off to your friends, starting to play the ukulele is a great option. Don’t let the toy-like appearance fool you. Ukuleles produce sounds so good and are so easy to master, your friends will be requesting you to play in their events. Now, if you do not like the traditional small sized ukuleles, you can always go to the tenor ukulele that is double the size. However, choosing the best tenor ukes from such a wide variety available in the market is both stressful and exhausting. But, if you know the key things to check and the few of the best features in the industry, you will get it done in no time. Just keep reading and you will know where to start and how to end. The Wood used: Since there would be no ukulele without the wood, this is the most important factor. You should always look for mahogany or Koa in the build as they are the most commonly used for ukuleles. However, if it features a better quality wood, you can go for it too after being sure. Moreover, you should also consider the sound of the wood helps to create. Because wood not only makes the ukulele but has considerable influence over the type of tone. 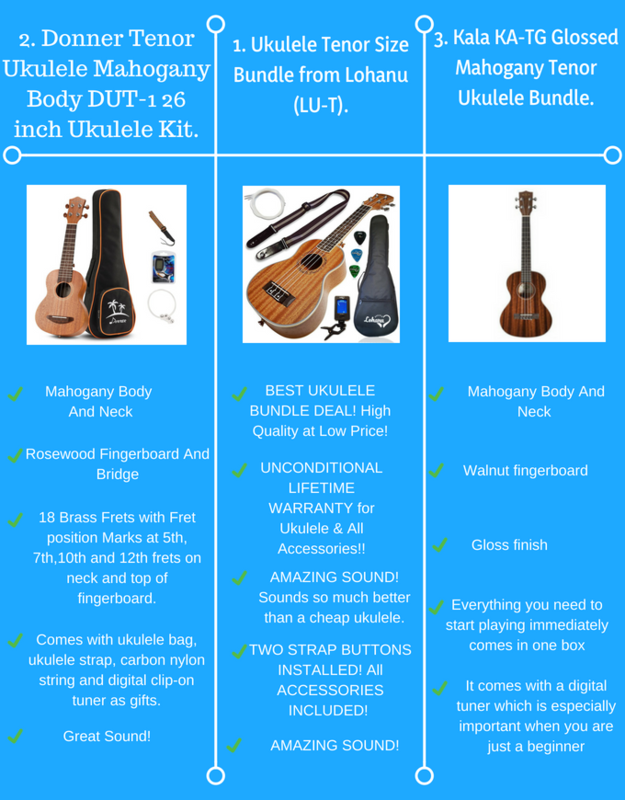 Price: Whatever, your budget, make sure you get the right ukulele accessories and the right-quality ukulele for the right price. Usually, you will get higher-quality and an advanced level ukulele at higher prices. The Design: Laminated ukuleles are cheaper but provide better protection against humidity and temperature whereas solid ukuleles focus more on a sturdy and efficient build. Find out the type you need before buying. Moreover, ukulele the style should fit your style. 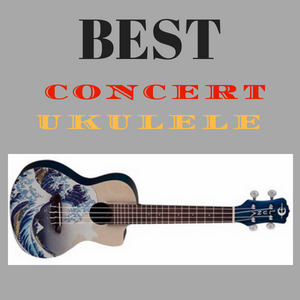 Reviews of the seven best tenor ukuleles of best ukulele brands given below will help you know about the features you need. If you are looking for a ukulele that has greater quality and durability for the greater size of a tenor, Lanikai tenor ukulele might be the one. The best feature of it? It’s made in Hawaii in the hand of Hawaiian experts (literally). Everything about this ukulele screams Hawaii and its traditional ukulele quality at a bigger size of 26 inches. In fact, it is made of Koa wood and solid wood tenor ukulele. That does not just confirm the great sound and tone but also the durability. Moreover, the fretboard is of premium rosewood which will provide you with the smoothest platform your fingers wander on. Apparently, it has a hand-rubbed oil and wax finish which speaks of the intensive Hawaiian touch it has. With all the efforts given, it is a masterpiece to look at. Hand-made by expert Hawaiian luthiers. Quality builds with Koa wood. The best tenor ukulele under 1000 dollars. Oscar Schmidt 4-String Tenor Ukulele. Want your friends asking about the unique looking ukulele you own that also sounds uniquely great? The Oscar Schmidt should help you gain the fame. This is also a good tenor ukulele under 300 dollars that you will ever get. While most ukuleles are built with mahogany or Koa, this ukulele breaks the stereotype and excels with its Spalted Mango top, back and sides. It will amaze you with the sound quality it provides with the material it uses. Moreover, synthetic bone nut and saddle accompanies it to keep the Aquila Nylgut strings in place. Moreover, Deluxe Grover Chrome Tuners with ebony buttons shall keep it tuned as well. Apart from that, the combination of Abalone binding, rosette and a gloss finish gives it the unique look you were striving for. This is the best sounding tenor ukulele. Spalted mango build delights the customers with its sound quality. 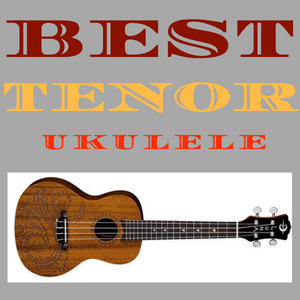 Best tenor ukulele under 300 dollars. Does not include enough accessories for the price. 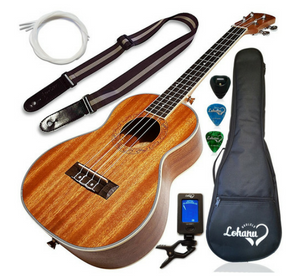 Ukulele Tenor Size Bundle from Lohanu (LU-T). If you are just beginning and want a ukulele that can stand your rough, inexperienced hands then this would be a great choice. In fact, being made of Sapele/mahogany top, back and sides, this ukulele gives you a sound that you don’t expect at such a price. The sound is not just loud but space is generous for big hands as well. It even features an arched back design to enhance sound quality. The rosewood fingerboard also gives you an easier beginner time. It comes with pre-installed Aquila strings and chrome dies cast tuners to save you from the worry of tuning. Moreover, the handmade ABS binding gives it a great look. Apart from that, it offers you everything you can ask for as a beginner at a price you won’t regret paying. Design (arched back) that enhances sound quality. Free accessories- Accurate tuner with battery, padded bag, polyester strap, two picks, pick holder with a sticker, extra set of strings included. The best tenor ukulele under 100 dollars. Donner Tenor Ukulele Mahogany Body DUT-1 26 inch Ukulele Kit. Your main reason for choosing a tenor ukulele is probably the greater size. But, with greater size comes greater worries like the greater price for the greater quality. The Donner DUT-1 ukulele kit saves from all that worry providing an affordable tenor ukulele that does not lack quality. With a mahogany body, it does not provide the best quality sound but a loud and ok sound for the price. However, the Rosewood Bridge and fingerboard should make playing as comfortable as it can get. The Carbon Nylon strings that come with it assure you of the string quality. Moreover, the Donner Patented chrome-plated guitar style tuner keeps your tuning smooth, easy and consistent. The 18 marked brass-frets make playing easier for the beginners. Moreover, the satin finish pleases the gloss-finish haters and others with its simple, traditional look. Polished, spacious and marked frets. 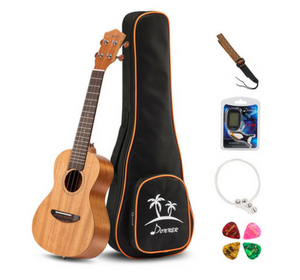 Includes lots of accessories like a bag, ukulele strap, an extra set of carbon nylon strings and a digital clip-on tuner. 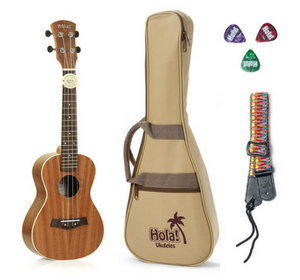 Tenor Ukulele Bundle, Deluxe Series by Hola! Music (Model HM-127MG+). 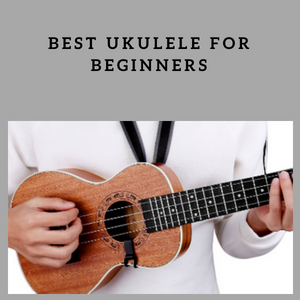 This is another best ukulele for beginners as it not only provides great entry-level quality but also saves cost offering accessories generously. Hola! Music with its long-term reputation of creating high-quality ukuleles should earn your trust on the durability criteria. As for the sound, the mahogany body with a Nato neck provides the traditional, rich, mid-range sound that you expect from ukuleles. There is the rosewood fingerboard to aid your fingers. Moreover, the premium Italian Aquila Strings with the high precision die-cast machine heads chrome plated with black rubber pegs assures tuning ease. The laser engraved rosette with white bindings finally gives this ukulele a look you cannot resist. Includes necessary accessories like the Aquila Nylgut Strings installed, padded gig bag, strap and picks. Tuners may not be efficient enough. Kala KA-RES-BRS Tenor Resonator Ukulele – Brass Cover. Want to get yourself seen and your ukulele heard? 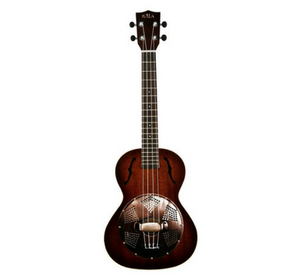 Then, the Kala tenor resonator ukulele should make the job easier for you. Whether you are a terrible musician or a great one, this ukulele will turn heads around you with its loud and great quality sound. Because the aluminum resonator has been coned crafted into the ukulele just to enhance the sound volume. Apart from that, you have a natural ukulele with the mahogany build. So, the sound no matter how much resonated will still sound like that of a natural ukulele. Moreover, the rosewood fingerboard also allows easy playability. 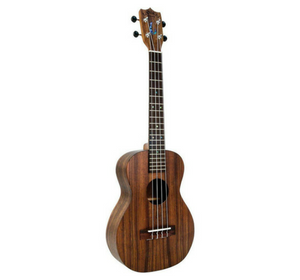 It is a tenor ukulele under 500 dollars that you could ask for. Moreover, it comes in two models- a vintage brass resonator cover or a chrome resonator cover. Lastly, with the satin finish, it looks great with its electrical design. A good quality resonator attached. The best tenor ukulele under 500 dollars. 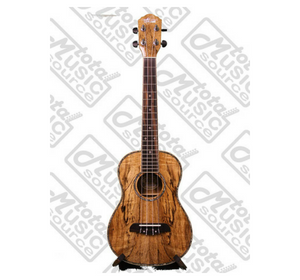 Kala KA-TG Glossed Mahogany Tenor Ukulele Bundle. 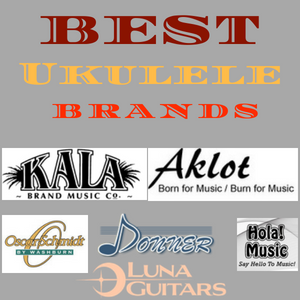 It’s the second time Kala made it to our list and this time it is with a popular tenor ukulele under 200 dollars. Apparently, this is a ukulele that will not only provide the best entry-level quality but also a number of necessary accessories to help you. Moreover, you won’t regret the price you pay for the accessories as it’s quite negligible and there will be no guilt for not being the best musician with such a great ukulele. 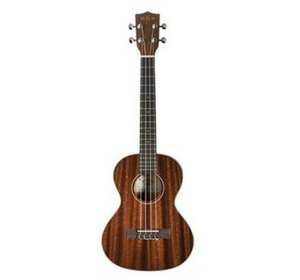 The ukulele features a traditional mahogany body and neck that assures you of the best intonation in this price range. Moreover, the walnut fingerboard should make things smooth for you. On top of it all, the high-gloss finish with the cream binding gives this ukulele an elegant look that will make people stare at it a little longer. The best tenor ukulele under 200 dollars. Around 27-inch length can accommodate bigger hands comfortably. The bundle includes useful accessories like- gig bag, tuner, Austin Bazaar instructional DVD, and polishing cloth. Lots of complaints about the case quality. With the wrong ukulele, no matter how strategically hard you try, you will not get the desired melody. But, with the perfect one, you will be getting invitations to play really soon after you start. 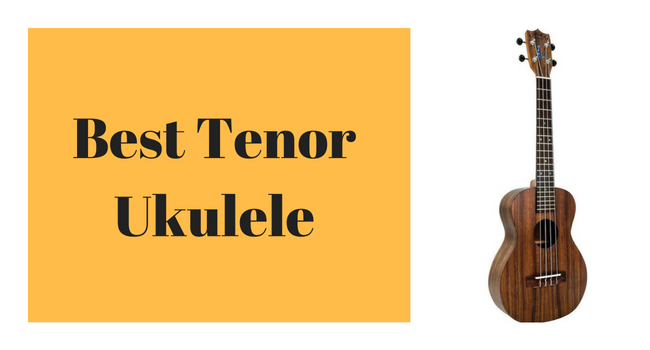 Our best tenor ukulele guide should help you find that perfect one which will not only soothe your soul but that of others around you. Know the features that suit you best and also the cons that you want to avoid. You will definitely have the best ukulele in your hands to accompany you after this careful purchase.